Statistics indicate that without support to provide stability and encourage recovery, up to half will return to prison within 3 years. Old Pueblo Community Services together with you making a difference in the lives of the most vulnerable in the community. With your help, they can provide the hope people need to achieve self-sufficiency and financial responsibility and regain dignity. 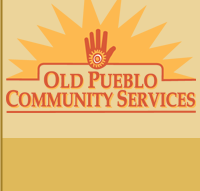 Are you familiar with Old Pueblo Community Foundation? Help FreeRehabCenters.org users find out answers.